Let me tell you a secret: when Volkswagen decided to launch the Passat CC a couple of years ago, I seriously doubted such a model could survive. And quite honestly, until I actually slipped behind the wheel, I still had doubts – and I’m not sure they’ve all been put to rest. It’s not because I think the CC is a bad car, quite the contrary. 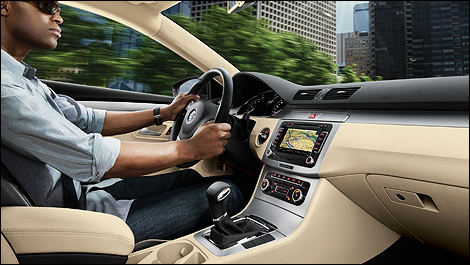 But its style and charm might not be enough to justify its presence in the VW portfolio. Because when it comes to pricing, the CC is nearly a luxury model, and I’m not sure it has what it takes to compete in that particular market. 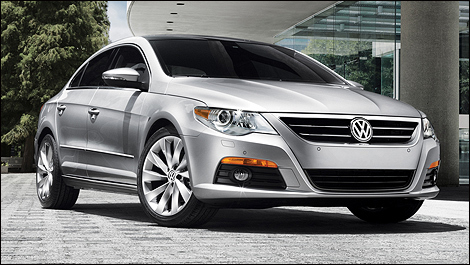 Since I’m sharing secrets, here’s another one: I think the Passat CC is one of the most beautiful cars in its class. And I say this with the utmost sincerity. True, the four-door coupe format is copied off Mercedes-Benz’s CLS, and true, it borrows elements here and there from previous VW models. But the sum of all these parts (even the ones from the competition) turn the CC into a sporty yet sophisticated ride. Even the cabin plays the luxury card. Though immediately recognizable as a Volkswagen environment, it has a little extra flair that lends it a unique personality. The dials are easy to read, the controls are as always ergonomic, and the whole package is highly efficient. In fact, I think this is the German manufacturer’s finest cabin yet. Kudos also for the front seats, which offer uncompromising support and comfort, even when you let yourself get a little carried away behind the wheel.